One of the reasons I love working with Fresh Choice Nelson is because of their support for local business and local food! Every time I pop in to do a quick shop there is always something new and exciting on the shelves from one of the talented producers who can be found within a 200 km radius of the store. The Nelson region is a fantastic local food bowl, from fruit and veggies to chips and delicious drinks, the range seems to be never ending. 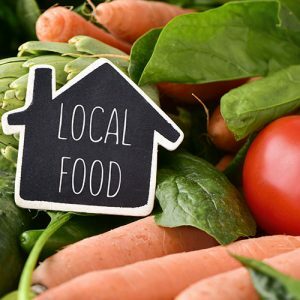 I think there is something really rewarding when you can buy something that not only tastes fantastic but also supports local families and puts money back into the local economy. I have spent time with local producers in their factories, farms and offices and one thing that really stands out to me is their passion. These people really believe in what they do and so much thought and energy goes into everything they make. They strive for continuous improvement and their dedication and hard work really shows in their produce. I think there is something really special in driving (or biking) past these businesses knowing that food is being made or grown just a few minutes from my doorstep, that will grace my table. There are far too many suppliers to list in one article, but over the next few months I will be creating recipes and giving tips on how to utilise these fantastic products. There are more companies than I can list here that fill up my pantry. Almond butter, bread, miso, chips, granola, cold drinks, teas and coconut cream to name a few… All created locally with ingredients sourced from near and far. All of these wonderful local food items and more can be found at Fresh Choice Nelson, look for the little yellow 200 km radius signs and keep an eye out for the in store tastings I’ll be conducting in the coming months.